For air conditioner maintenance, Plano residents like you can confidently depend on, there’s no smarter or better choice than Devard’s. We’re here for you no matter your needs. HVAC maintenance and HVAC service are what we do all day, every day -- and customer satisfaction is our primary goal. Maintenance can mean two different things. To some Plano residents, the term maintenance is interchangeable with service. If your system has failed or is failing and you need HVAC service you can depend on, we work on all major brands. We come to your home fully stocked to fix problems with Trane, Amana, Honeywell and many other brands of systems. When we’re on the scene, you don’t have to worry about a thing. For others, the term maintenance means preventative maintenance. We recommend having your system checked twice each year to make sure everything is safe and working well in your Plano home. To make that easy for you, we offer maintenance agreements that allow you to have us out at the beginning of each season for a set price. With the included customer reminder service, you’ll never miss a maintenance opportunity again. Some systems can’t be saved, so we offer new systems at affordable pricing and can happily provide complete cost information upfront. We are a Trane Comfort Specialist, but we can also provide other brands if you prefer. Just contact us and let us determine the best course of action for you. Perhaps our biggest selling point is our fast and friendly customer service. Everyone you deal with at Devard’s will exceed your expectations. Our 100 percent customer satisfaction policy guarantees we’ll be do our best for you or make it right. You can’t ask for more than that from us or any other service company. Since 1968, we’ve been improving the comfort of homes and businesses. Our 40 years of stellar reputation are on the line with every service call we make, and we aren’t about to jeopardize our standing in the community now. So why not become our next satisfied customer? 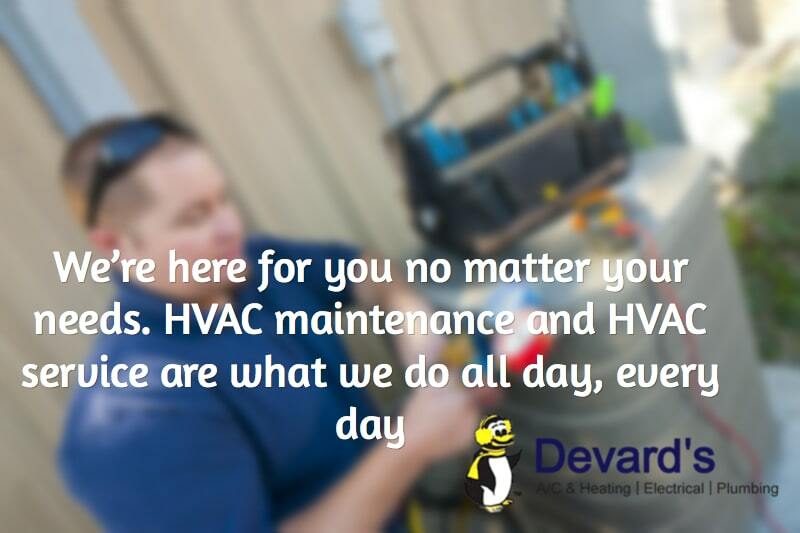 For air conditioner maintenance, Plano customers like you can depend on to get the job done and go beyond your expectations, the only name you need to know is Devard’s.